Guitar players have their amp and pedals. We sax players have our embouchures - the way we apply our mouth to the instrument. In my opinion, the range of effects this offers, along with breathing and articulation, is as good as any pedalboard. In the video above, I demonstrate two stylistic techniques that have been popular in contemporary music for decades, particularly in R&B. Here’s a bit more context on each. The growl sound is produced by humming into the saxophone while playing. 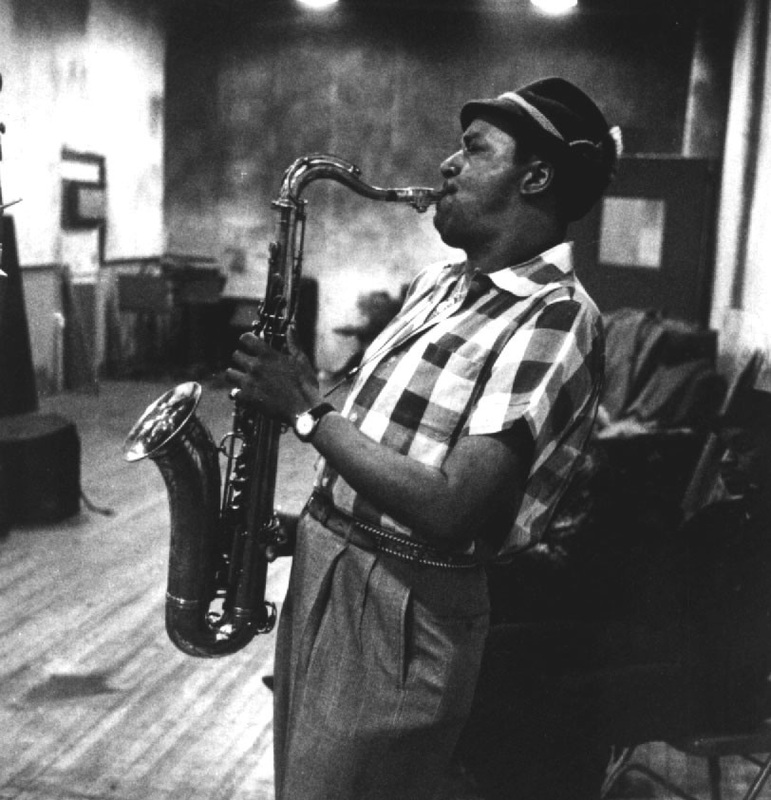 Players like Gene Ammons and Louie Jordan started incorporating this style in the 1940s when the idea of only playing with a pure or clean tone - usually required for section playing in the Big Band era - was beginning to become passé. By the 1950s, King Curtis, Junior Walker, and many other players were using this technique. Today, the R&B growl is widely used, something all of us saxophone players can have fun with when appropriate. For a great example of the iconic growl sound, check out Jimmy Forrest's playing on the song “Night Train” (some readers might recognize the tune from the Enchantment Under The Sea dance in Back To The Future). To get the growl, start with a light hum at the back of your throat and hum the pitches of the melody or riff you want to play at the same time you are playing the notes. It’s important to start with a light, soft, easy hum. If you start with a harsh or heavy hum, your throat is likely to close a bit and stifle the airflow and sound. I suggest humming the vowel "E." That helps open up the throat so you get the desired sound effect while still having plenty of air to support and get the volume we might need. This is especially important if you are performing in a band with guitarists or organists on a Hammond B3 who can get more volume by dialing up their amps. With wind instruments, our body and air stream is our amp. We want to be sure to support our sound with good air and breath control. 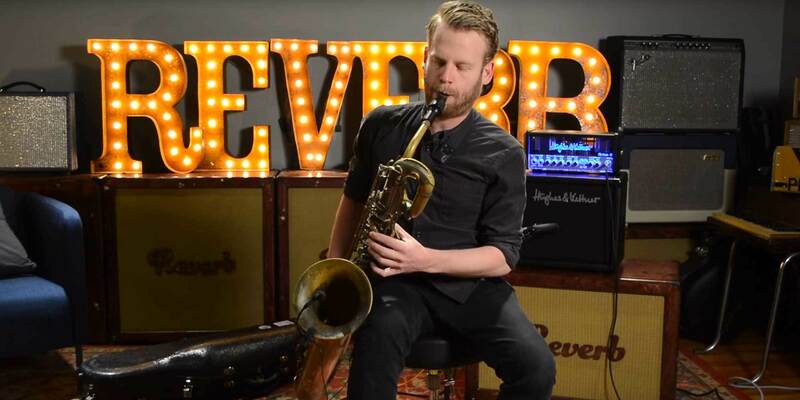 In our latest edition of Pedal Tricks, Jonah Prazen-Johnson guides us through an otherworldly plane of sound with his trusty Baritone Sax and intricately laid out pedalboard. This is my favorite. I started calling them “split tones” about 20 years ago. I was able to get them on the alto sax pretty quickly, but it took a while to smoothly use this technique on the tenor. The idea is to have your air stream so focused that the saxophone is almost over powered. If we overpower the saxophone and reed too much, however, the sound will pinch off or the pitch will become flat. If this happens, too much air is being used. Back off a bit. It takes a very delicate balance between embouchure, air stream, and mouth/throat shape to master this technique, so don't be discouraged if it takes a little while to feel comfortable. I suggest the mouth/throat shape of the vowel "A" for this effect. To get a feel for this, pick a note and play the saxophone as if you were going to sing each of the vowels: A, E, I, O, U." To get a feel for this, pick a note and play the saxophone as if you were going to sing each of the vowels: A, E, I, O, U. Pay attention to how different the notes feel while playing due to the shape of our mouth/throat. The timbre is quite different as well. Receive what the instrument tells you and build a vocabulary with it. I used to play certain notes using this technique in a very overt way. Now I prefer to use it more subtly to add color to certain notes and/or phrase points. Explore, but most importantly, have fun! Breathing life into the saxophone should bring you joy. I think all three of the albums I have done recently with Jimmy Chamberlin (best known as the drummer of the Smashing Pumpkins) have examples of this technique. David Sanborn, another great user of this technique, was gracious enough to be a special guest on our most recent album, Bye Bye Blackbird. Check it out here for more examples. I get emails and questions at clinics all the time about as to what kind of gear I use. For those interested, my saxophone is a Yamaha Custom Z Tenor, my mouthpiece is a Jody Jazz DV 7 and my reeds are D'Addario Jazz Select 3M. Thanks for watching and reading! Frank Catalano is a jazz saxophone player and educator based out of Chicago. He has worked with a range of artists including Carlos Santana, Von Freeman, David Sanborn, DJ Logic, Louie Bellson, Tito Puente, Betty Carter, and John Medeski. His solo albums have been #1 on iTunes and Billboard Jazz Charts. Frank's most recent collaboration features work with drummer Jimmy Chamberlain. He is also the author of Modern Saxophone Techniques published by Hal Leonard. You can learn more at his website.